One of you asked for more graphic design, so here you have it: proof that I listen (and a chance for me to feature some local guys, as well!). 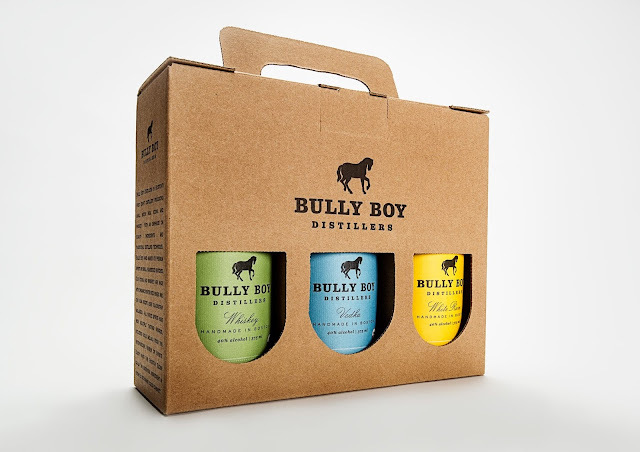 Bully Boy is Boston's first craft distillery, producing small batch rum, vodka and whiskey in bottles worthy of your gilded bar cart. 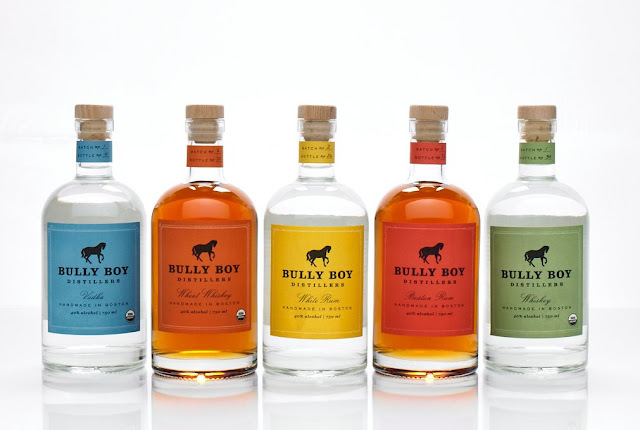 Inspired by the prohibition-era bottles they found in their family's farmhouse, brothers Will and Dave Willis launched Bully Boy Distillers in 2010, naming the company after their great-grandfather's beloved workhorse. The brothers turned to Cheree Berry Paper for their branding, and with the farm in mind, the design team went for something bold, clean and classic. 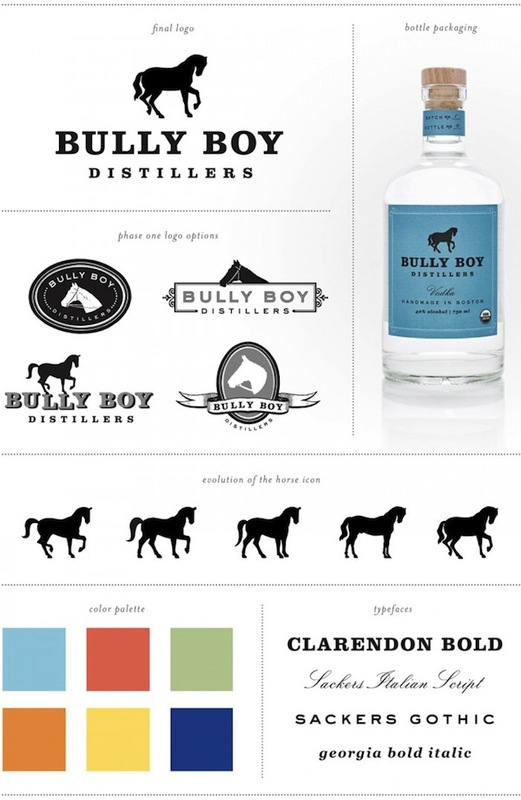 From prancing pony to charging stallion, I'd say that horse logo was drawn and redrawn to perfection. Very impressive. If only I had known about Cheree Berry when I was picking out wedding invitations! Yep, they do those, too. very cool! great packaging/branding. 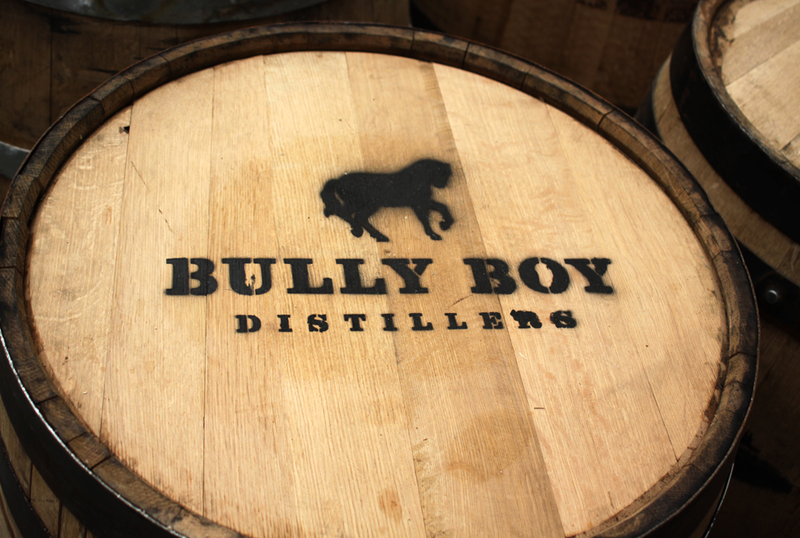 I want to go to their distillery. Yessss Bully Boy! I love them. And, surprisingly enough, they're on Gilt today! Sweet logo, I liked to see the stage of the logo and all the different options but to be honest all of them were pretty great quality. It's always great to see what goes into branding. I love their products! They sell them at my local shop, and I have been very impressed.